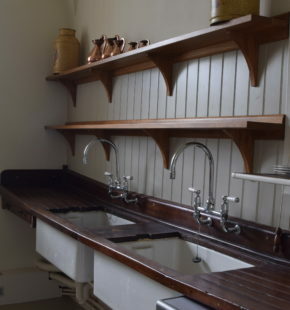 The servery which adjoins the kitchen at Buscot (see Buscot kitchen) hadn’t been touched since the 1940’s and was looking rather dated. 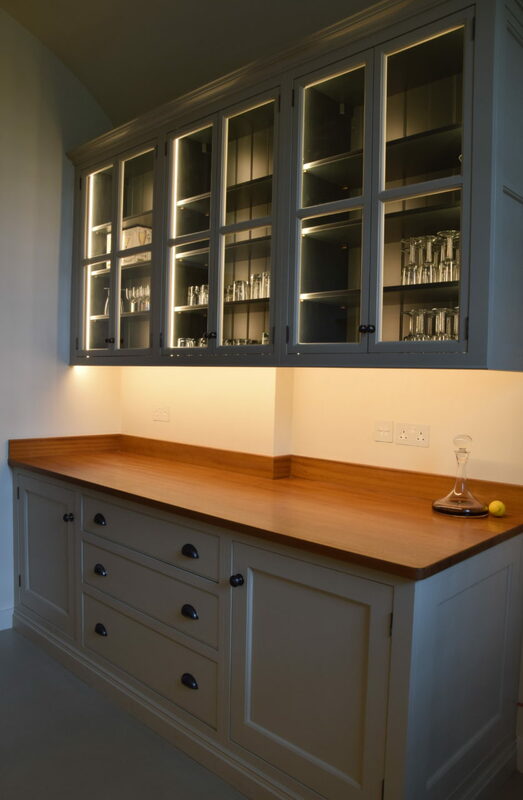 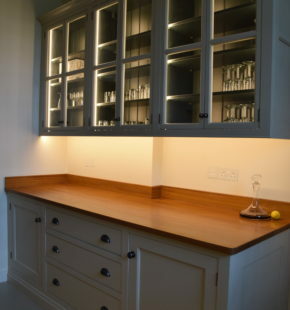 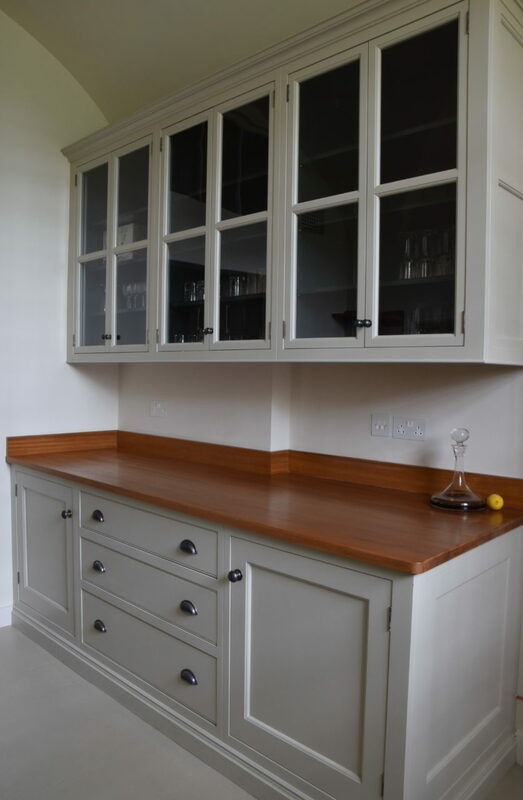 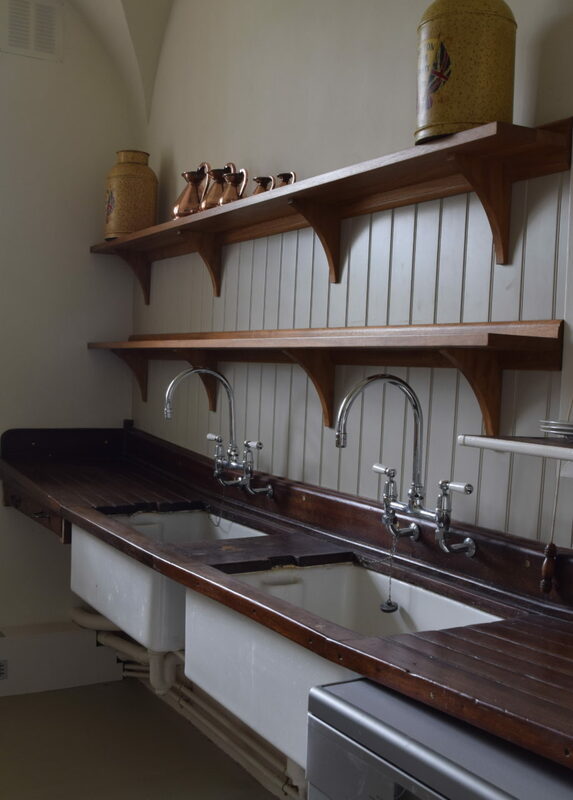 Despite this we retained the two original butlers sinks as they were in perfectly good order and also the rather lovely teak worktop with it’s draining grooves embedded into it and then replaced the panelling and added new oak shelving above. 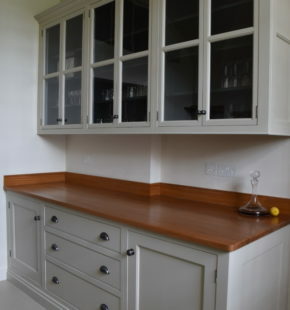 Keeping these integral items creates a certain charm and longevity to the room and gives the space more than just a whiff of original under stairs National Trust, which is what Guild Anderson is all about.